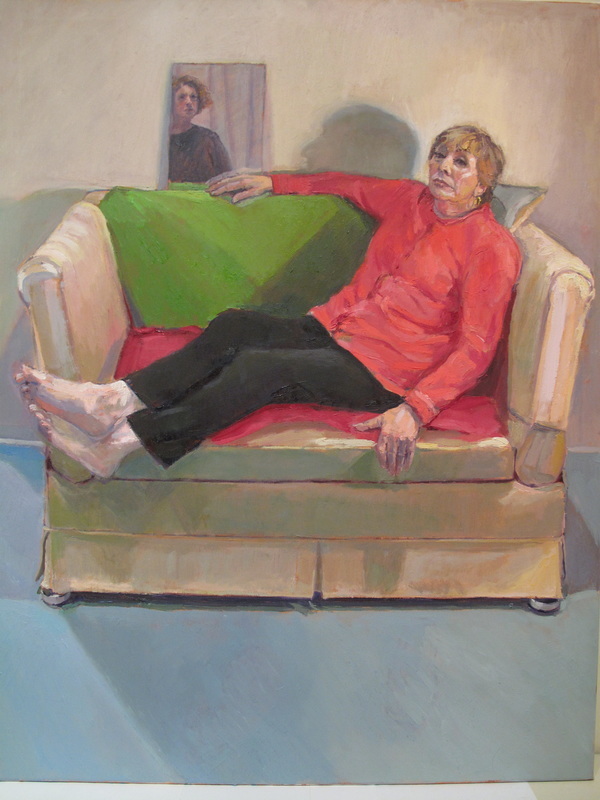 "I did a series of paintings of friends and neighbours sitting on the same sofa in my studio. We shared a space, time and stories together." Look at the other paintings of friends.